Parenthood is a journey, full of joy, fear, worry and stress. As soon as you give birth, life as you know it changes forever. From then on, you face all kinds of challenges that can be difficult to overcome. While every parenting stage is difficult, the toddler years present some of the biggest challenges you’ll ever face! Raising a toddler is hard work, but there are a few tips that can make your life a lot easier. Many parents turn to the internet to share their valuable advice on parenting a toddler, including ingenious hacks to save your sanity. 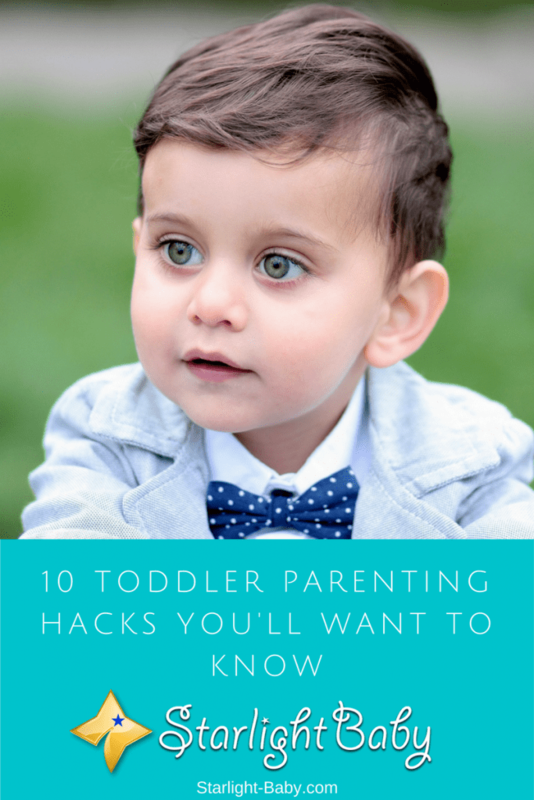 Here you’ll discover 10 of the best toddler parenting hacks you absolutely need in your life! Babies may make a lot of mess during mealtimes, but they have nothing on a hyperactive toddler! If you don’t want to spend what feels like half of your life changing your little one after each meal, a large old t-shirt can be your saviour! Simply put the large t-shirt over their clothes before they sit down to eat. Then remove it once they’ve finished. Use it for each meal throughout the day and then simply place it in the wash.
For many parents, coffee shops become a frequent stop, helping to not only fill them with caffeine to face the day, but also to surround themselves with other adults. 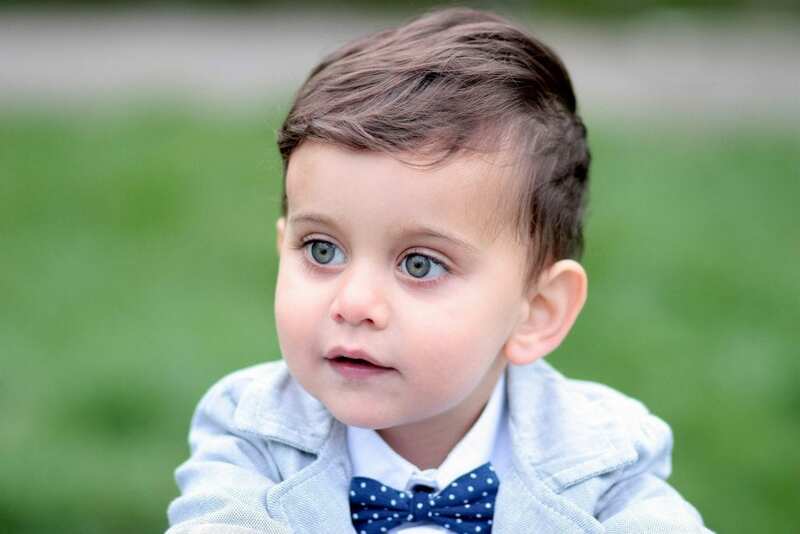 However, toddlers have a very limited attention span, so they’re prone to throwing tantrums when they’re forced to sit still for long periods of time. By getting creative, you can help to keep their little minds occupied while you enjoy your much needed caffeine boost. A great idea is to use the cardboard cup holders that you typically receive with coffee to go, and turn them into either spy goggles or superhero style wrist bands. You could even take along some coloring crayons for them to decorate their own wrist bands! Remember the relief you felt when you finally managed to get your little one potty trained? Well, that soon fades when you’re faced with a constantly clogged toilet! Your toddler isn’t going to instinctively know how much toilet paper they need. So why not create a toilet paper line? This can be done by sticking colourful paper to the wall, highlighting where your toddler should rip the toilet paper off. This helps to eliminate a lot of toilet paper waste and also prevents the toilet from clogging. Making a toddler do chores?? Many parents will be gasping at this suggestion, but we’re not talking child labor here. Many kids actually like getting involved in daily chores. It makes them feel more grown up and there’s plenty of easy tasks you can get them to help you with. For example, giving them a damp cloth to wipe over surfaces is simple enough and fun for your little one. They may not get things perfectly clean, but it’s teaching them about responsibility at the same time as allowing them to feel involved. Toddlers can be fussy eaters. Some days no matter what you seem to offer them, they’ll refuse outright to eat any of it. A good parenting hack that works wonders for days like these is to use an ice cube tray. Fill each compartment with colourful foods. For example, strawberries, blueberries, carrots and cheese. Each compartment should contain something different. This isn’t just a great way to encourage your child to eat new foods, it’s also great for getting them to eat healthy too! Every parent has faced a gut-wrenching clean-up job. Toddlers have a way of causing havoc wherever they go and they love nothing more than to draw on walls. In the blink of an eye, it’s possible for your little one to grab something they shouldn’t and turn the wall into their canvas. Common tools used for this job include lipstick, mud or paint. However, many parents have found themselves faced with the dreaded marker pen wall! Before you panic, it’s worth giving toothpaste a go! Just dab it onto the wall and wipe off with a damp washcloth. Be amazed as the marks instantly disappear! Do you find it a struggle to get around the store without your toddler throwing a tantrum because they absolutely NEED to have a new toy? Obviously your toddler is going to want every cool toy that they see as they have no real concept about money. However, it is possible to distract them. Give them a little camera they can take pictures with and tell them they need to send the pictures to Santa. You can make up an ingenious excuse that Santa has to approve all toys before they can be given and to do that he needs a photo. Your toddler will actually love taking pictures with their own little camera. If you’re lucky enough to own a dishwasher, it’s possible to use it to wash a wide range of your toddler’s belongings. Toys, shoes, brushes and sports gear can all be washed within the dishwasher. This is a particularly useful tip for days when you’re super-busy! What toddler doesn’t love a ball pit? However, the ones you come across in public aren’t known for being overly clean. It can also prove very difficult to get them out of it once it’s time to leave. Creating your own ball pit at home is much more hygienic and more importantly, it keeps them entertained for ages! Use a blow-up kiddie pool and fill it with little plastic balls. Alternatively, you can pick up a ball pit pretty cheap on Amazon by clicking here. You could also throw in some balloons if you’re feeling particularly kind! Is your little one always begging to be carried even though they have no problem at all walking? This can get exhausting as your toddler can be surprisingly heavy! Encourage them to walk by creating a game. This could be for example, getting them to pretend they are pushing you along the path. It’s amazing how fun they will find this game; they won’t even realize that they’re walking by themselves. Surely this list isn’t complete here, and there are a lot of neat ideas that we didn’t mention. Have you got any great toddler parenting hacks other readers might find useful? Do us all a favor and share yours below! 8 Embarrassing Parenting Mistakes – We’ve All Made Them! we use an apron while feeding our baby. I liked the idea of putting an oversize t-shirt on baby while feeding. When we do not want our baby to show tantrums in publish, we let him watch his favorite rhymes on our phones.